Tahany Yassin is the founder and Lead Photographer of ChiTown Photography. Tahany’s interest in the field began when she received her first camera as a gift when she was only 10 years old. With many mentors along the way, Tahany found her true calling in telling stories through images. In 2002 she decided to turn her passion into a profession. Tahany specializes in all aspects of photography and lighting and her style is most closely aligned with photojournalism. Tahany freelanced for several years prior to launching her own brands, ChiTown Photography in 2011 & Jeena Studios, in 2014. 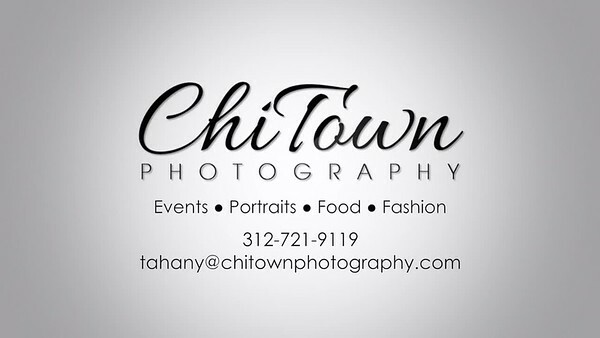 ChiTown Photography is a local professional photography firm founded in 2011. Our skilled team of professional photographers and videographers are standing by to provide affordable photo and video services to businesses of every size and industry – whatever your needs, trust the professionals at ChiTown Photography to cover your events, showcase products and services and bring your vision to life! Our Team specializes in producing professional images for business professionals, companies and organizations of all sizes. Under the creative direction of Tahany Yassin, lead photographer and owner, our style is creative, journalistic and cinematic. We proudly offer a number of professional services to help show and present your business in the best light - literally! Our services include professional headshots, corporate and social event coverage and food photography.